Excellent well established dog groomers for all size of dog. Hi my names Karl. 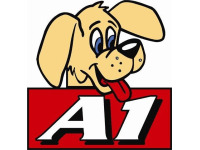 I am the owner of A1 dog grooming. with over 61 year combined experience . we offer a full grooming service includes . Excellent Cockapoo grooming / cut, feel very comfortable leaving him there. This is the 3rd time I have took my Cockapoo here and they are great. Digby's cut, by the female groomer & attention to detail on underneath etc is excellent, and am very happy to leave him there x have recommended to other Cockapoo owners. I have used A1 dog groomers a few times now and I have found Karl to be very professional in his handling of Ben my little shitzu and having used other groomers in the past Karl is the best wouldn't use any one else. Took my min schnauzer to visit a1 dog groomers for the first time and due to his anxiety I'm always nervous leaving him. But I didn't need to worry as he was look after wonderfully by carl and his team and went in like a scruff to be picked up looking like a crufts champion.